To tell the story of the the White Russian we need to look back a few years to the origin of vodka cocktails in general. The Savoy Cocktail Book (1930) is considered one of the first U.S. publications to include recipes using vodka. At that time, vodka was primarily a Russian export (and the country is widely believed to have been responsible for its origin). It should come as no surprise then, that one of these early vodka cocktails in the Savoy book was known simply as the “Russian” (vodka, gin and crème de cacao). The similarities to it’s progeny should be apparent. Next came the “Black Russian” (vodka and coffee liqueur—typically Kahlúa) in 1949. Understood to have originated in Brussels and named, again, after the Russian spirit and (black) coffee liqueur. And later, the “Russian Bear” (vodka, crème de cacao, cream, sugar) which appears to have come on the scene in 1963. A clear go-between for the original Russian and (with the addition of cream) the White Russian. The White Russian as we enjoy it today was first documented in the Oakland Tribune in November 1965. According to the Oxford English Dictionary (among other sources) this is widely believed to be the first published instance of the cocktail. However, (and you heard it here first!) a cocktail called the “White Russian” actually appeared in a Southern Comfort ad in the Boston Globe that predates the Oakland mention, as one of the cocktails to make using the (now long forgotten) Coffee Southern liqueur. See the clipping for yourself here. So either the good folks at the Southern Comfort marketing department came up with the drink or people had been adding cream to their Black Russians for a while before that Tribune article. From there the White Russian saw a brief flurry of popularity during the disco era of the ’70s before falling by the wayside for two decades. Then—you guessed it—one movie singlehandedly vaulted the drink into the realm of legends. And that movie was The Big Lebowski. 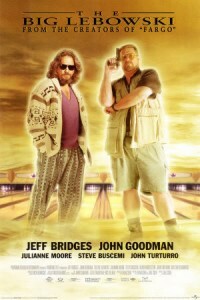 Initially something of a flop, The Big Lebowski did not reach cult status until 2002. Incidentally, the same year that Lebowski Fest kicked off. Now it is probably one of the more iconic drinkers’ films from the turn of our century, with the White Russian taking center stage. The Dude (and anyone that likes a strong drink) ups the vodka to 2pts. and many are little more liberal with the cream. Also, shaking the cream beforehand can lead to a thicker, richer cocktail—which we’d recommend. The Enthusiast’s official recipe takes it even further and calls for Kahlúa Especial, boasting a proof of 70 (Original is typically 40 proof). And let me tell you, two of those and you are ready for a night out. 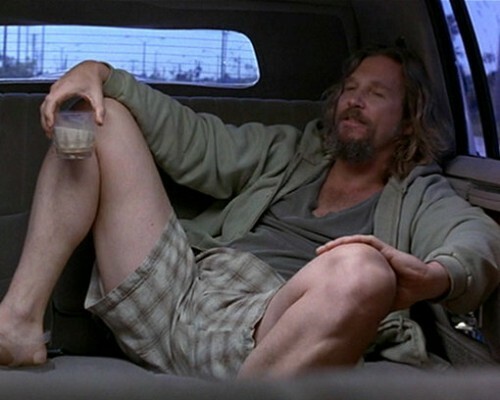 So drink up, Enthusiasts, and take comfort in the fact that the Dude’s out there. Takin’ ‘er easy for all us sinners. 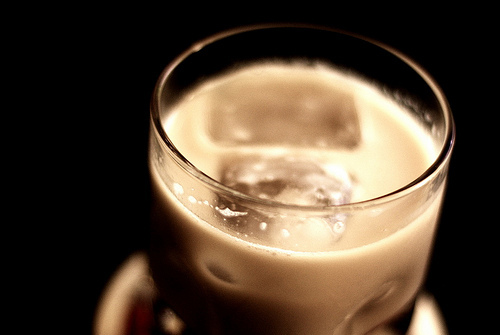 White Russian photo courtesy of Jonathon Watney, flickr.